Green vegetables help in lowering the cholesterol levels. They are an excellent source of fibre, protein, vitamins and minerals. They also provide powerful antioxidants like folic acid and lycopene. Eating salad on daily basis is the healthiest habit. There are enormous health benefits of salads- they are high in dietary fibre and are a great source of vitamins and minerals. Nutrient-rich plant food is favourable for the overall health of the body. Sprouted grains in a salad are easily digestible and are an excellent source of fibre, protein, vitamins and minerals. 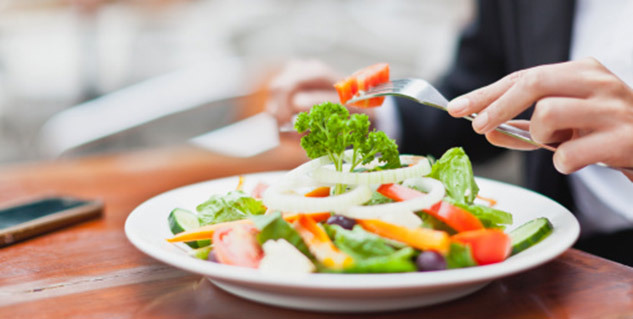 If you are aiming to lose weight, then salads are a must for you. Being rich in fibre, they act as appetite suppressants and help you feel full for a longer duration. A green salad is an excellent source of powerful antioxidants. Folic acid, lycopene, vitamin C and E, alpha and beta-carotene are some of the examples. Antioxidants protect your body from the damage caused by free radicals. An important health benefit of salads is that they provide you with healthy fat. Monosaturated fat found in olive oil, avocado and nuts helps the body to absorb protective phytochemicals. This fact is supported by a study done by Ohio State University wherein relation between phytochemicals absorption and salad consumption was assessed. Results revealed that avocado eaters absorbed more alpha and beta-carotene than non-eaters of avocado. 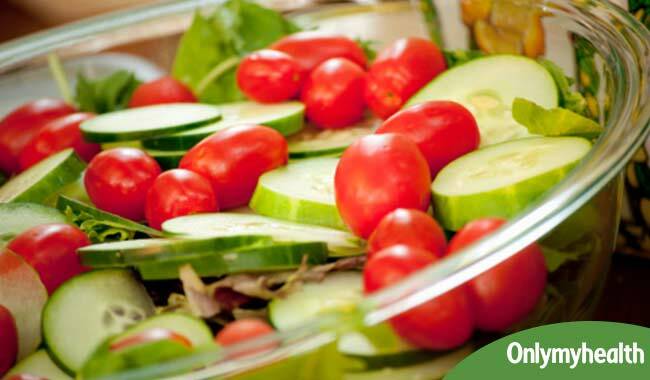 Vegetable salads help to decrease constipation. Raw vegetables offer added benefits of better digestion and improved immunity. Results of a study done by the National Cancer Institute shows that people who consume vegetables and fruits in their diets are at reduced risk of cancer. The findings are more applicable to people who smoke or drink heavily. Frequent salad intake also reduces the risk of heart troubles and blood pressure. Your salad is good for your heart if it contains strawberries, tomatoes, carrots, apples, beans, peas, string beans, peppers and peaches. 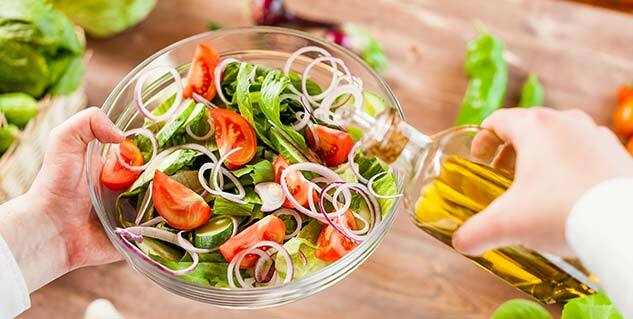 Dressing salad with a little olive oil is linked to increased mortality. According to an Italian study done on people aged 60 and older, a diet that includes plenty of raw vegetables and olive oil reduces mortality. Try to be creative while making your salad, include sprouted grains, nuts and your favourite vegetables. Make sure that you use a fat-free dressing.